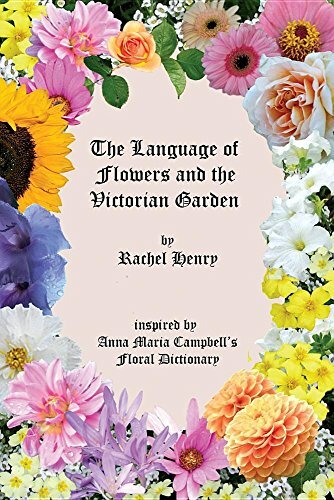 Inspired by Anna Maria Campbell's mid-19th century Floral Dictionary, Rachel Henry's well-researched book investigates each of the plants listed there to see how it was used in the Victorian era by gardeners, cooks, physicians and others. With facts and anecdotes on over 300 plants, The Language of Flowers and the Victorian Garden contains numerous quotes from some of the foremost gardening writers of the Victorian era and is illustrated with pencil drawings based on 19th century botanical prints. The history of the plants and the folklore surrounding them are also covered and Anna Maria Campbell's Language-of-Flowers meanings are investigated, in relation to those given by other books published in the same period. A fascinating and unusual study to delight gardeners and anyone interested in flowers and their history. If you have any questions about this product by Sphinx House, contact us by completing and submitting the form below. If you are looking for a specif part number, please include it with your message.